A classic springtime tale from Margaret Wise Brown, the author of Goodnight Moon! This classic story follows a little bunny as it discovers a blue egg and begins to wonder about all the wonderful things that might be inside. 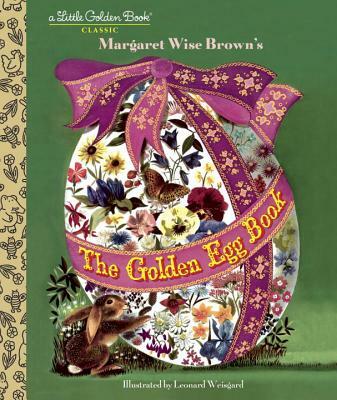 With colorful illustrations from Caldecott Medalist Leonard Weisgard, and a playful and endearing text by the legendary Margaret Wise Brown, The Golden Egg Book is a perfect for the littlest of hands.